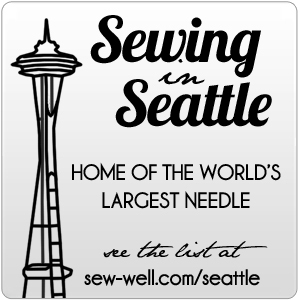 I spent most of last weekend reading, sewing, and just enjoying some alone time. It was glorious. I am fairly outgoing, but there are just times when I need to spend a couple of days by myself. Having done that, I now feel like I can face the world again for a while. I feel recharged. One of Ike’s millions of cousins just had a baby, so I decided it’d be a good time to make a baby gift. My very favorite stuffed animal as a kid was a stuffed animal that someone hand made for me. It was sort of a nondescript cross between a teddy bear and a puppy dog (I think), but I loved it so much. 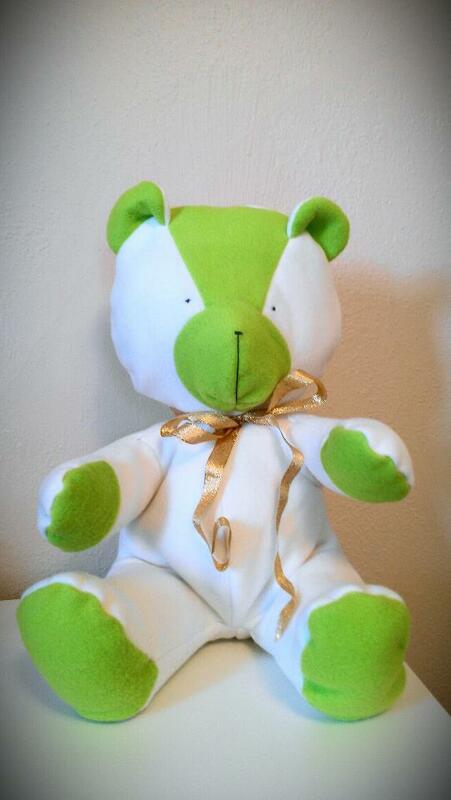 If I could make a stuffed animal to look exactly like my “green baby” (oh, how creative I was with the naming! ), I’d do it. But, since I have no clue how to go about doing that, I searched the internet for a fabric teddy bear pattern. I found this pattern from How Joyful and decided to give it a try. I used some fleece that I had on hand (left over from a fleece quilt), made a couple of changes to make it newborn friendly (stitched on the eyes, instead of using buttons which pose a choking hazard), and voila! It’s soft and cuddly – perfect for a new baby. The pattern makes quite a large teddy bear, perfect for little baby hands to grab! And I found the process of putting it together quite easy. I’m so excited to give this to the new baby girl in the family. I’ve already started work on another one, with blue accents, for another new baby in the extended family. Pingback: Four Months! | Regardez-Moi! Regardez-Moi!